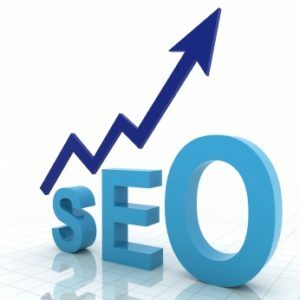 Search engine optimization (SEO) is more math and science than art, yet most people think there is some magic trick to choosing Staffing Firm SEO Keywords. When attacking your SEO you need to understand that every page on your site is a new opportunity for a landing page for new visitors to find. In other words, each page needs to focus on different keywords in order to increase your keyword quantity. The most important thing to look at when it comes to your keywords is not what you want to say, but how users would search. Speaking with your clients gives you valuable insights into how they would search for your company on the web. Utilize their knowledge in order to drive your optimal Staffing Firm SEO keywords. If you are a staffing firm focused in technology than it is conceivable that “Technology Staffing” would be a great keyword for you, but is it? You need to assess the various ways your business operates in order to drive the greatest traffic, but you also need to keep your competition in mind. Over 9,000 firms are likely using technology staffing as one of their primary keywords, so how well will you compete with them? Finding niche keywords such as “.Net Jobs” or “.Net Careers” or “.Net Staffing Provider”, reduces the competition and allows you to win in a specific area. Really look at the industry you work with and the technologies you place people in to find these niche keywords. Don’t give up on “Technology Staffing”, but find a way to win with more specific keywords. Everyone looks at their homepage as the landing page of their website, but in reality, it is one of many. Google, Bing, Yahoo, and more, do not care whether the page they reference is an interior page or the homepage. Break up your keywords by the pages of your site, utilizing one page on your site to focus on just two of those keywords and then do the same for another page. Even small content sites with six to ten pages can find a way to leverage many keywords, but be sure to use all of your pages. There have been many recent changes in SEO over both the last month and the last year. Search engines are now punishing websites in SEO rankings if they do not have a SSL certificate (Security) and if they are not mobile. While mobile may require technology upgrades for you, SSL certificates are easily obtained and applied to your site. Don’t do all the hard work of finding optimal Staffing Firm SEO keywords just to find yourself punished because of one of these two items. Here is to you ranking first!